scatter the seeds away from the house. the scratching in the crawl space goes away. then disappear and don’t return. My son calls from his chaos. as if I still could care. something in me is missing. Fran Baird was born in North Philly, the youngest of 12 children. He has studied in workshop with poets David Ignatow, Cathy Smith Bowers, John Drury, Jamey Dunham; and currently with Leonard Gontarek. 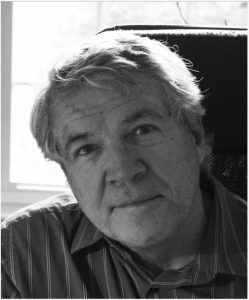 His poem “Neshaminy” published in the Schuylkill Valley Journal in 2009 was nominated for a Pushcart Prize. His first chapbook, Painting With My Father, has been published by Finishing Line Press in 2019. Dr. Baird conducts a poetry workshop with long term incarcerated men at Phoenix Prison (formerly Graterford) as part of the Prison Literacy Project of Pennsylvania. Ten poems from five poets from this workshop were published in the Fall 2017 Schuylkill Valley Journal (V45).